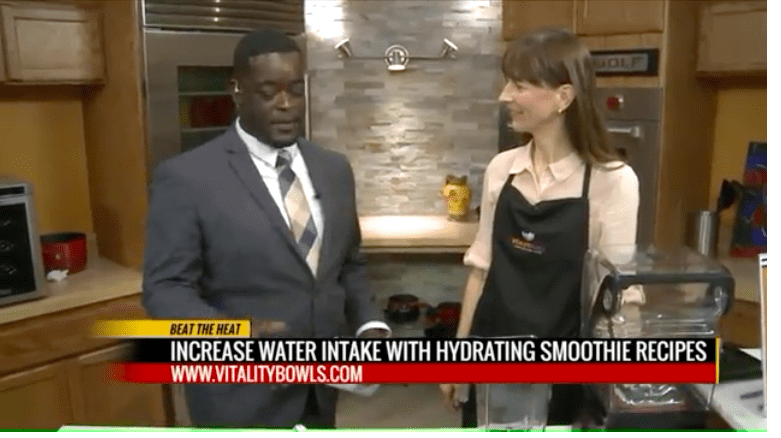 BY KTVI-TV – Vitality Bowls, a franchise that originated in northern California, has opened in Richmond Heights. It is a superfood cafe that specializes in acai bowls and also offers paninis, juices, smoothies. Vitality Bowls uses no fillers, only ice and Greek yogurt. Everything is also made to order in an allergy-friendly kitchen using all fresh ingredients. There are many benefits to smoothies, including increased water intake and staying fuller for longer. Smoothies also provide a great way to get fruits, veggies and vitamins in your diet. Vitality Bowls is located at 8029 Dale Ave in St. Louis and is open from 8 a.m. to 8 p.m.
For more information, visit vitalitybowls.com.